At the present, the public cloud appears to be doing better than ever. According to cloud-focused vendor Pivotal Software, 35 percent of its old-school enterprise customers already run at least some of their operations on infrastructure such as Amazon Web Services, indicating the depth of cloud adoption beyond just hyperscale organizations and startups. 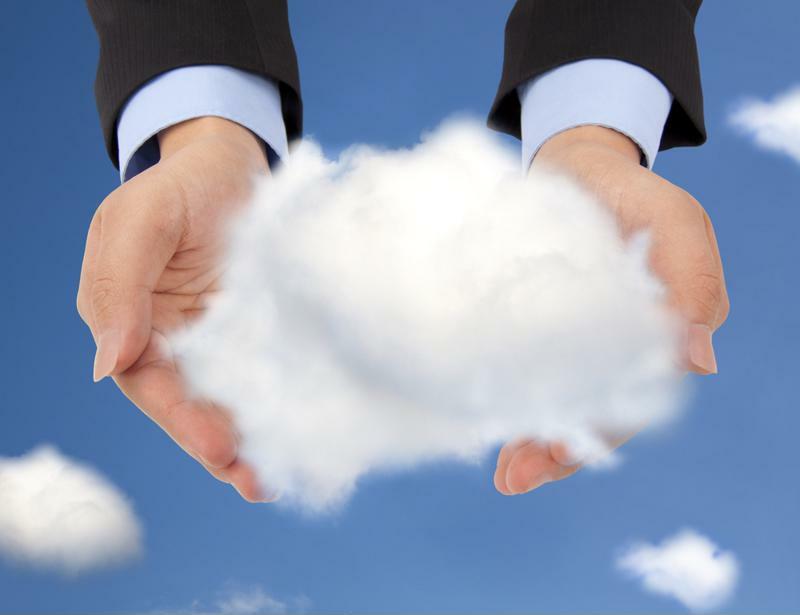 Moreover, growth in public cloud use is expected to continue in the new year. Research firm Ovum has estimated that 75 percent of all IT organizations will have a hybrid cloud strategy in place by the end of 2016, with the main drivers of this trend being greater uptake of SaaS applications as well as increased reliance on IaaS solutions. Let's consider the infrastructure angle in a bit more detail. While AWS et al have long been the backbone of many consumer-facing Web and mobile apps, they have been less prominent as the support for mission-critical services such as banking applications. That may be set to change soon, as one of three big trends we can expect for the next few months. Both public and private cloud will likely continue to blossom in 2016. Banks, government agencies and insurers are among the many enterprises now looking to make the move to cloud infrastructure, public or otherwise. Writing for American Banker, Penny Crosman noted that banks, like many other organizations, began to experiment with IaaS primarily for devtest only, but have since become more adventurous. Capital One, for example, moved some of its workloads to AWS to save money on data center operations (it plans to decrease its count from the 2014 baseline of 8 to only 3 by 2018). Other financial institutions may soon follow suit, seeking to capitalize on what one Capital One executive called "the ability to provision infrastructure on the fly." Of course, security and compliance will continue to be concerns for enterprises that have traditionally kept their IT cards pretty close to their vests. The risk/reward calculus may be shifting, though, as enterprises see opportunities to attract developer talent by working with AWS and generally spending less time wrangling with legacy assets. There is no doubt that public cloud will gain steam in the years to come, barring some major incident. At the same time, it is clear that there is still a huge chunk of legacy and physical infrastructure out there that will continue to need attention even as more workloads move to AWS, Azure and other platforms. The limitations of legacy assets are well-known. They often require manual processes and/or brittle script-based automation, rather than the easy API calls and more sustainable automation of clouds. Jeff Denworth summed up these shortcomings in a December 2015 article for ITProPortal. "Legacy IT doesn't come along for the [modernization] ride for a number of reasons," wrote Denworth. "[C]louds are built to be managed by APIs and legacy tools lack automation, orchestration and all of the aspects of cloud frameworks that reduce administration overhead and enhance the economics of cloud computing." None of these points is controversial. But the flaws in legacy infrastructure often can't be solved simply by abandoning it. A transitional solution is needed, such as private cloud IaaS enabled by a platform like QualiSystems CloudShell. This approach allows for older "Mode 1" applications (in the now-famous bimodal IT framework created by Gartner) to be supported through a self-service portal and a scheduling and reservation system that introduces real accountability to devtest and deployment. Ultimately, implementing cloud infrastructure is a mean to an end. Ideally, it will deliver usable environments to end users so that they maintain agile application lifecycles as well as overall business agility. In reality, this doesn't always happen. "Private clouds share of all workloads is estimated to keep rising." According to a Quali survey of 650 IT personnel, three-fourths of respondents stated that they could not reliably deliver infrastructure during a given workday. Week-long delivery times were the norm. Plus, these bottlenecks have the potential to become even more problematic in light of the growing number of workloads in the private cloud and the sheer number of environments that feature some mix of physical and virtual infrastructures. For context, private cloud's share of all workloads is estimated to climb from 30 percent to 40 percent within the next two years, according to the Quali survey. This situation calls for an solution such as CloudShell that will include the cloud sandbox features needed for delivering full production-like infrastructure environments on-demand. "We see the demand on enterprises and service providers to deliver more complex applications and software-defined services as a major driver in the growth of private clouds, especially in devtest labs and DevOps oriented data centers," said Joan Wrabetz, CTO at Quali. "This emphasizes the need to provide development, test and QA teams with sandboxes that allow them to mimic complex private cloud infrastructure from development all the way to production." Overall, we can see that both public and private cloud are set to thrive in their own ways in the near future. Public cloud is likely to keep taking on many of the workloads once confined to legacy infrastructures, while private cloud will be the most feasible way for many IT organizations to continue nurturing their older applications with a fresh dose of DevOps automation. Cloud growth may indeed be "inevitable," as research firm Forrester described it in late 2015, according to Wired. The market could surpass $190 billion in value as soon as 2020 as the core principles of cloud computing continue to remake how IT operations are conducted. The takeaway: Look for public cloud and private cloud to make further inroads into enterprise IT in the next few months and years. For private cloud in particular, this setup is likely to become the go-to option for organizations that need to balance DevOps innovation with support of legacy applications.